Looking for a calendar of events taking place in the buildings, including regular classes and meetings? Visit our calendar page. The Community Association meets every third Tuesday, 7:30pm, at the Fire Station. All are welcome. There is no December meeting. Activities, games, music, gifts, food – come join the fun! 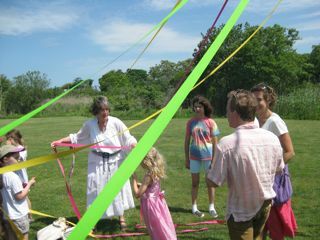 Pony rides, bouncy house, May pole, pie eating contest, community tug-0-war… it’s a Woods Hole annual tradition. The rain date for this event is Sunday, May 27th, with the parade starting at 11:00 a.m. 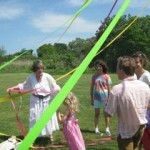 This annual event, sponsored by the Woods Hole Community Association, is an occasion to celebrate the return of warm weather and to enjoy music, crafts, food, games, and fresh air, as well as conversation with friends, neighbors and visitors. This community celebration kicks-off with an exuberant and fun parade at 10:00 a.m. We invite everyone to join in. 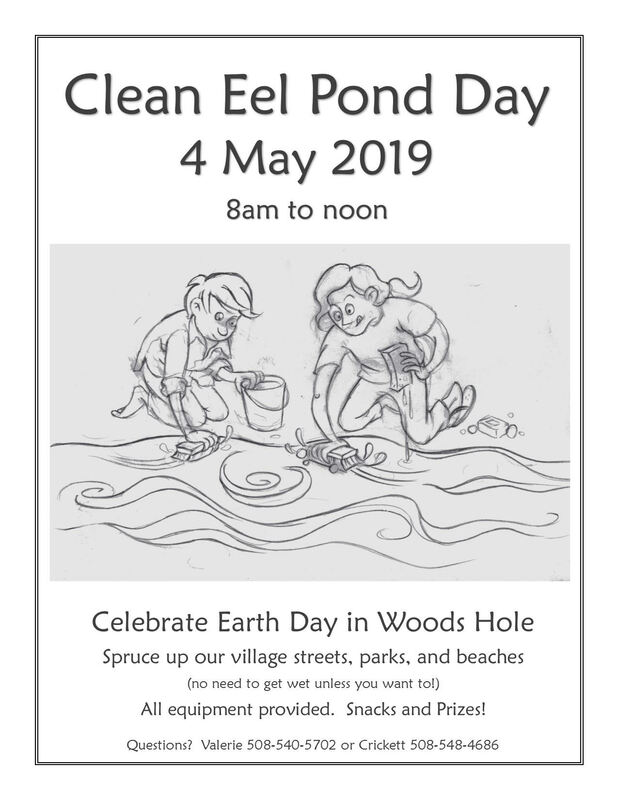 The parade begins at the Woods Hole School and proceeds down School Street, then Water Street, around Eel Pond to Millfield Street, and ends at the ballpark on Bell Tower Lane. Music and costumed participants have always made the parade enjoyable for both onlookers and fellow paraders. All that is required is colorful attire and/or a banner of some sort. If you are participating in the parade, please plan to assemble at the Woods Hole School at 9:45 a.m.
We invite craftspeople, sellers of homemade foods, and people who would like to run a children’s game to contact us (woodshole woodsholecommunityassociation org) if you would like to sell food, set up a booth, or if you have any other creative ideas! Come enjoy the Maypole dance, live music, games, delicious food, and pony rides.